A Transit Wheelchair, or sometimes known as a transport wheelchair, is normally attendant propelled and therefore unlike a self-propelling wheelchair has smaller back wheels. This means that the carer or family member can quickly and easily enable the wheelchair user to move locations. Posture is often associated with moving/handling of objects or loads but in my experience not immediately in terms of seating. This is often the case until someone suffers acute trauma or has a change in work role which means spending more time in a seated position. 1 What is good posture? 2 Why is posture important? 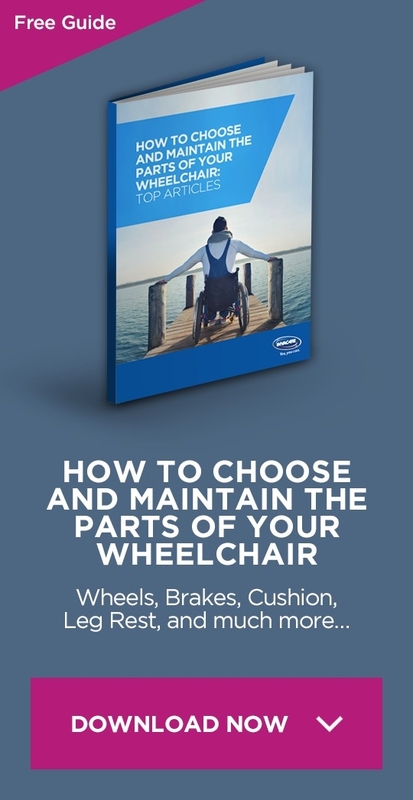 3 How can you improve posture in a Transit Wheelchair? Good posture is about correct body alignment, ensuring a combination of stability, comfort and function are maintained. It is the position in which you hold your body upright against gravity whilst standing lying or sitting and involves minimising strain on supporting muscles or ligaments during movement or any weight-bearing activity. Poor posture can have significant implications. From joint pain, skin damage and muscular contracture to restriction of airways and impacting on occupational performance and engagement. 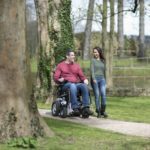 How can you improve posture in a Transit Wheelchair? Like all forms of seating it is very important that the Transit Wheelchair is properly and accurately measured. As a general rule the width of the wheelchair is the measurement across the user’s hips in sitting plus around one inch. Depth of the Transit Wheelchair is the length from back of the users bottom in sitting to the popliteal fossa (the crease behind the knee when flexed) minus an inch. The backrest measurement is a little more personalised depending on the user’s needs and body shape. The footrests should support 90 degree flexion at hips, knees and ankles as comfort allows as well as enable the user to place their feet flat, allowing them to push through the footrest for positional changes if within their ability. Reclining backrest – This allows the attendant to adjust the backrest angle to support the user’s need for increased extension through the trunk or hip region. However, consider that simply reclining the backrest and increasing the angle past 90 degrees to the seat encourages the user to slide forward, making repositioning more difficult and causing sheer to the sacral skin. Tilt in space – This allows the attendant to redistribute pressure whilst maintaining a seat-to-backrest angle that supports good posture for the user. This is more likely to be a realistic option for children but options are certainly available for adults. Specialist cushions – Such as pelvic cushioning to provide increased pelvic support and stability. It may be the case that there is a wheelchair harness which can be used to support the postural needs of the user as well as their occupational engagement. 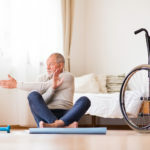 In particular, pelvic and chest supports for some users may encourage good posture whilst increasing safety and allowing the Transit Wheelchair user to engage in activity. 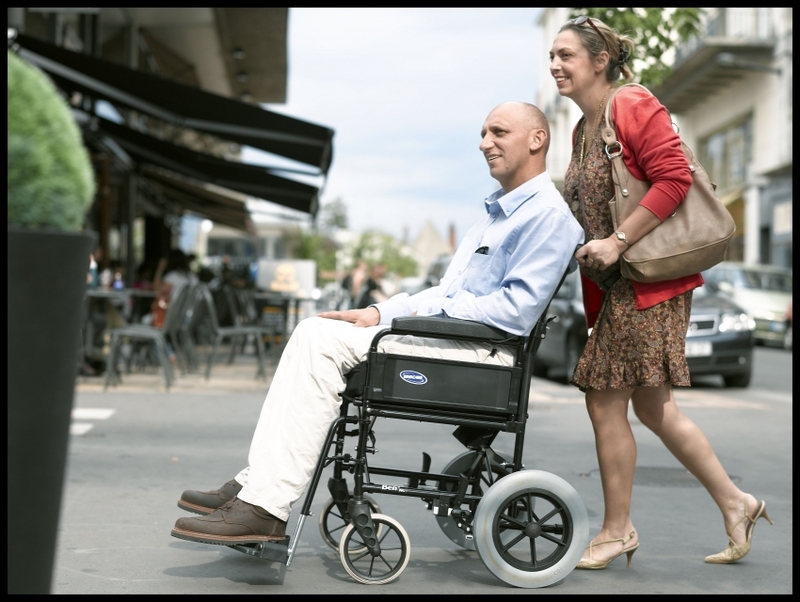 It is very important that both the Transit Wheelchair user and indeed the attendant’s posture are considered as a package, ensuring that one is not compromised by the other. Only in considering the two as a unit, holistically, will posture, safety and occupational engagement be facilitated.